Mr. Peabody & Sherman is now playing at theaters! I got to see the movie, and I really enjoyed it! I wrote up a little review to share with you guys, but I don’t want to give away too much of the story because I want you to see it! 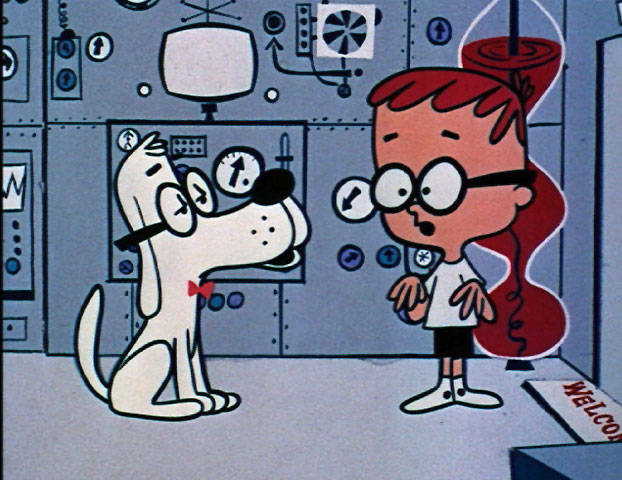 The basic plot follows the hyper intelligent dog Mr. Peabody, his adopted son Sherman, and the time machine Peabody invented called the WABAC (pronounced way back). Sherman begins school and faces a bully named Penny, who both end up in the WABAC and have to help save the space-time continuum while trying to work out their differences. The plot was better than I expected given the origin from the old Peabody cartoon shorts. It is not a Pixar quality story, and the plot seems a little off at times, but if you go into it expecting that I think you will be pleasantly surprised overall. I think the movie keeps adults and kids entertained throughout. It is full of humor that ranges from the very intelligent to childish bathroom humor. I really enjoyed the puns throughout the film. The bathroom humor serves to keep kids invested when they may not understand why all the puns are funny. The movie has decent pacing, and the story does progress well. What I enjoyed most about the movie was its focus on history and intelligence. Any kids movie that attempts to foster a love of history and places a value on learning/knowledge is a welcome change from many cartoons these days. 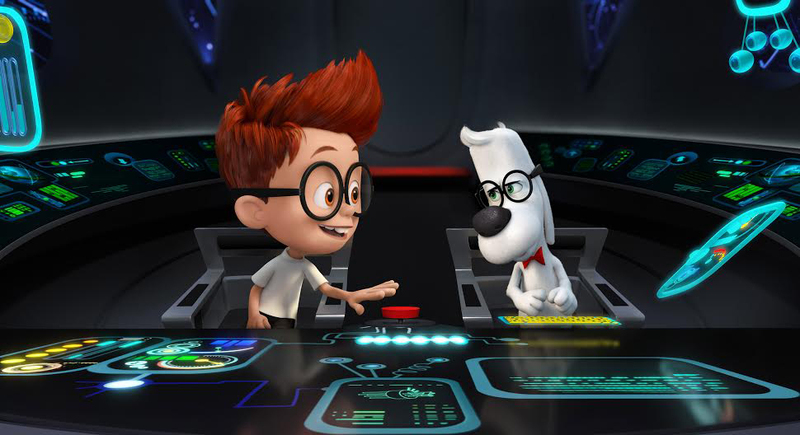 Mr. Peabody’s character is a demonstration of how cool and interesting you can be if you are intelligent. He comes off as arrogant at times, but I think the fun things he is able to do and the things he has accomplished demonstrate that there is nothing wrong with being smart and there are certain benefits to that. The jokes, historical periods depicted, and Sherman’s excitement for history all reinforce that history doesn’t have to be boring and learning about it is important. I hope that kids come away from the movie with some increased desire to learn a little bit more about history. The movie does a fair job of exploring the complexities of a dog having adopted a human boy, and how society would treat that, for children. I would have enjoyed a more in-depth look at that, but it isn’t where the movie went. Sherman loves his dog father, and Mr. Peabody proves himself. It is a good look at a first time parent learning to let go and grow. Overall, I think you guys should see this one! It is both intelligent and funny, and Mr. Peabody is quite cute (in a dignified doggy way). Are you or your family looking for a movie to see soon at your local theater? Do you love dogs, or wish they could talk? Then you will love “Mr. Peabody & Sherman,” a new movie from DreamWorks Animation which will be out in theaters on March 7th! In the show, Mr. Peabody had accomplished many things but was lonely and ended up adopting a human boy named Sherman after finding out he was an orphan. For Sherman’s birthday he gifts the boy his invention of a time machine called the WABAC, and they travel together through history fixing things that have gone wrong. The upcoming film has similar themes but follows Sherman and a girl named Penny (along with Mr. Peabody) as they travel back in time in the WABAC (pronounced “way-back”). 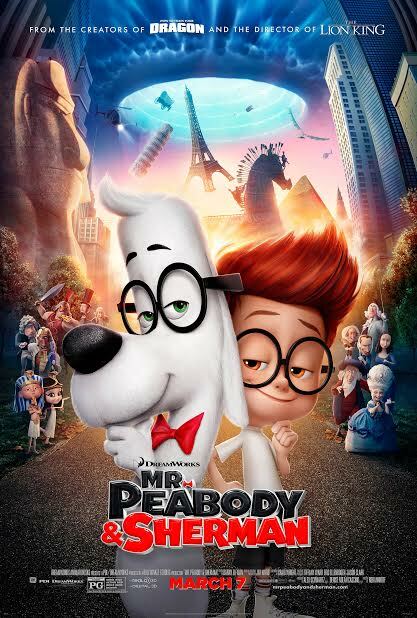 It is a story of self discovery as the kids learn lessons on friendship and understanding, and Mr. Peabody learns how to be a better father figure. All of this while working through historical events like the Trojan War in an attempt to not change history because of their interference. 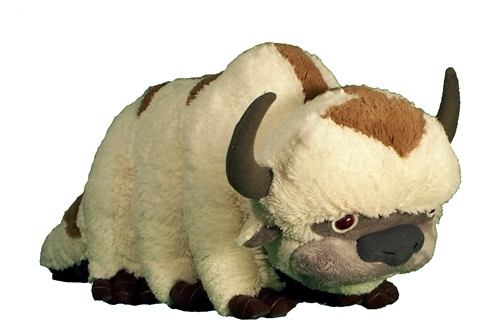 Mr. Peabody is voiced by Ty Burrell. Max Charles voices Sherman and Ariel Winter voices Penny Peterson. Penny was not a part of the original cartoon segments but looks to be a great addition for the animated movie. Max Charles and Ariel Winter recently sat down for a quick Q&A session about the film. Not surprisingly, neither of the two young stars had seen the cartoon prior to being cast. While Charles could look for inspiration in the classic cartoon for Sherman, Winter had a bigger challenge since Penny was not part of the original storyline. However, this didn’t seem to bother her, “It was basically like they handed me a book and it was empty and I got to write the pages,” she explains. “I thought it was pretty cool that I got to create my own character.” Winter also joked that she brought her own real life sass to the role. Penny’s assertive personality is what drives Sherman to defy orders and take Penny in Mr. Peabody’s WABAC. 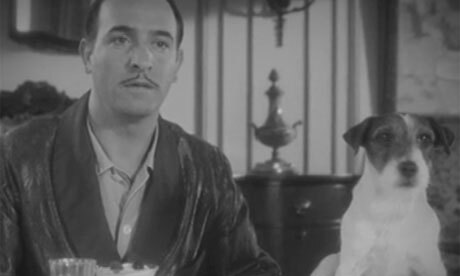 When asked about his favorite scene in the movie, Charles described a sequence where King Tut smashes into the windshield of the WABAC — a very appropriate response for a 10–year-old boy. Overall, the movie is really about relationships. The friendship that develops between Penny and Sherman is just as important as the father and son relationship between Peabody and Sherman. As a dog, Mr. Peabody has to deal with this in trying to be a boy’s father on top of the normal difficulties of parenting. This is a strange but interesting dynamic to be sure. As a kid I often wondered what it would be like to have intelligent talking dogs and what that impact would be like. How much more crazy would it be to be adopted by one? For those who love dogs like a part of the family, “Mr. Peabody & Sherman” is sure to be enjoyable given the film’s depiction of the love, loyalty and companionship we share with our four-legged best friends. I think the movie sounds fun and heartwarming! 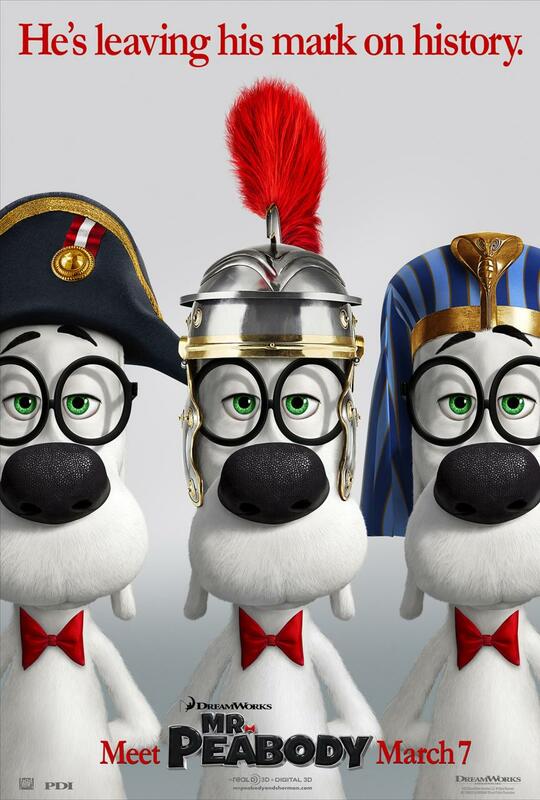 Don’t miss Mr. Peabody and Sherman when it comes to theaters March 7th! 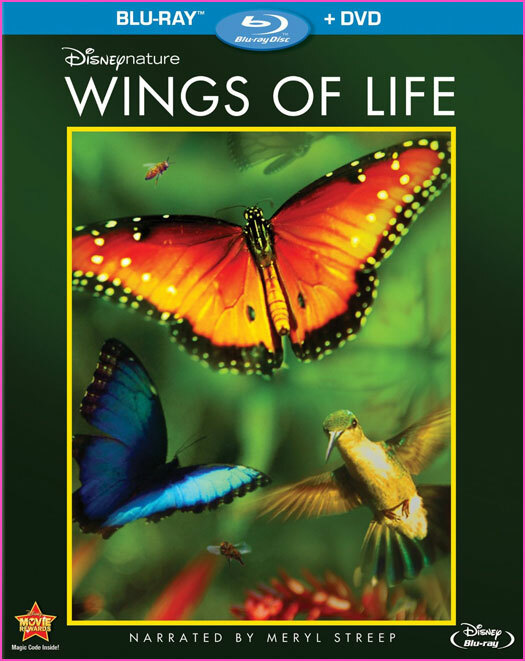 Disney Nature films finally released the film Wings of Life in the US! The film had a release date of 2011 for most of the world and goes under two other titles: Pollen and Hidden Beauty. The move is 77 minutes long following the story of the creatures who serve a vital role in pollination. The film does a beautiful job of presenting the secretive and beautiful interaction between plants and the creatures who pollinate them so both can survive. You can read more about the movie at Moving Art. 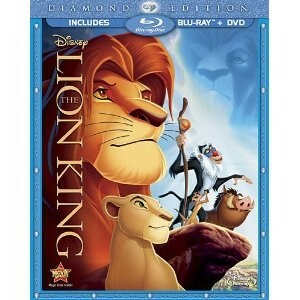 You can purchase the Blu-Ray and DVD combination package from Amazon for $27.99. 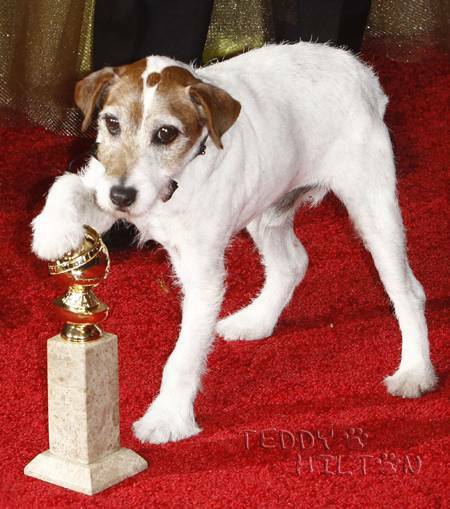 The dog from the movie “The Artist” was a hit on the red carpet and on stage at this years Golden Globes. 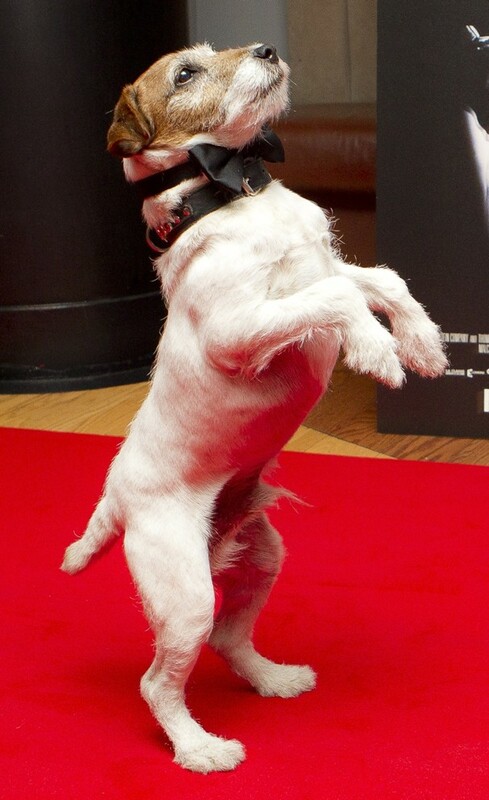 I saw him perform onstage when the actors came up to accept their Golden Globe for “best motion picture comedy or musical.” He walked on his hind legs and played dead on stage. The dog’s name is Uggie, and he is a Jack Russel Terrier. He has won a palm dog award, and is in the running for a Golden Collar Award. 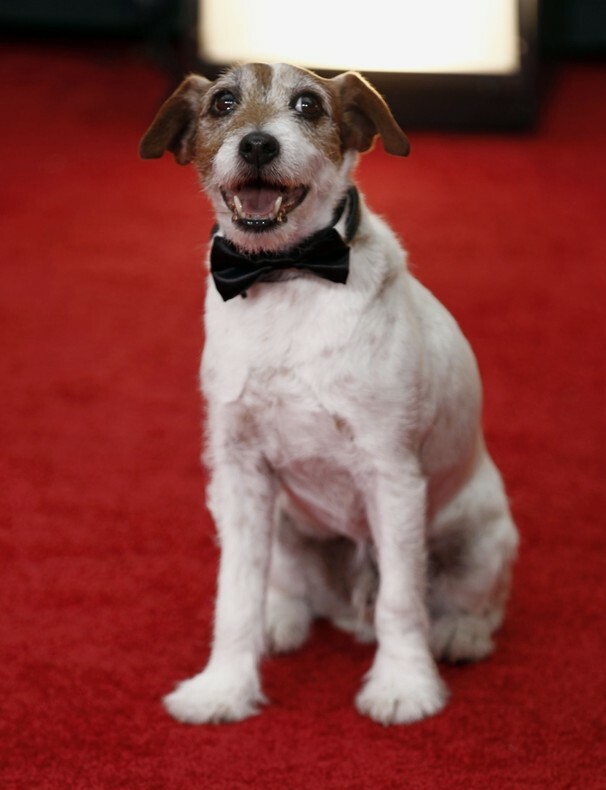 If you would like to see more pictures of Uggie or read more about him, see The Washington Posts article ‘The Artist’ dog steals show at Golden Globes. 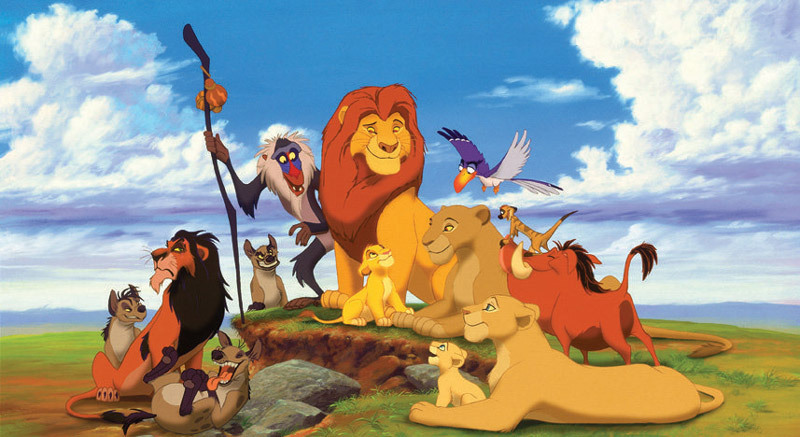 The Lion King is now playing in theaters in 3D! I loved this movie as a kid and I have ever since. The use of 3D is not overwhelming and is incorporated very well to add depth. The movie will only be out for two weeks so see it while you can. This re-release corresponds to the Diamond Edition release of the movie onto Blu-Ray combo pack, Blu-Ray 3D, and movie download on October 4. 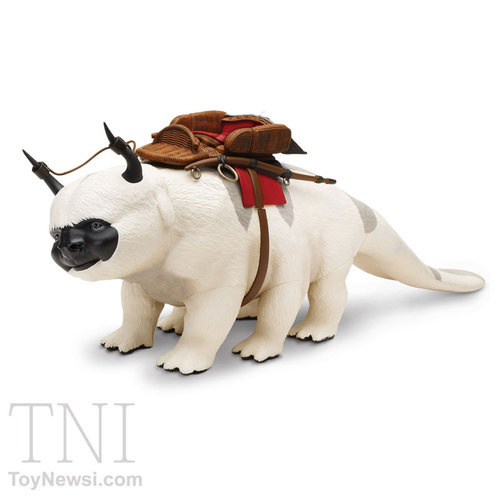 See the official site at Disney.com. Winnie the Pooh or Harry Potter? Two very different movies open today: Winnie the Pooh and Harry Potter and the Deathly Hallows Part 2. Will you be seeing either or both? A very cute response as only Disney can look on this in regard to how overshadowed their movie is as it comes out the same day as the last Harry Potter movie. I will be going to see Winnie the Pooh this weekend. Will I be seeing Harry Potter? Probably…but maybe not this weekend. I am of the Harry Potter generation, I grew up reading the books as they came out and even waited in line for midnight releases of the books. Interestingly, or maybe not, the movies failed to capture me as a fan. I have seen all the previous movies up to this point, and even went to some midnight releases. After I read the final book it did not fulfull my expectations after reading, and waiting for, the series over so many years. I enjoyed the series because of the delay in books and the expectations/desire that created, but disliked the series resolution because I had higher expectations due to all the build up. Oh well, that is how it goes – I know many who feel very differently about Harry Potter. 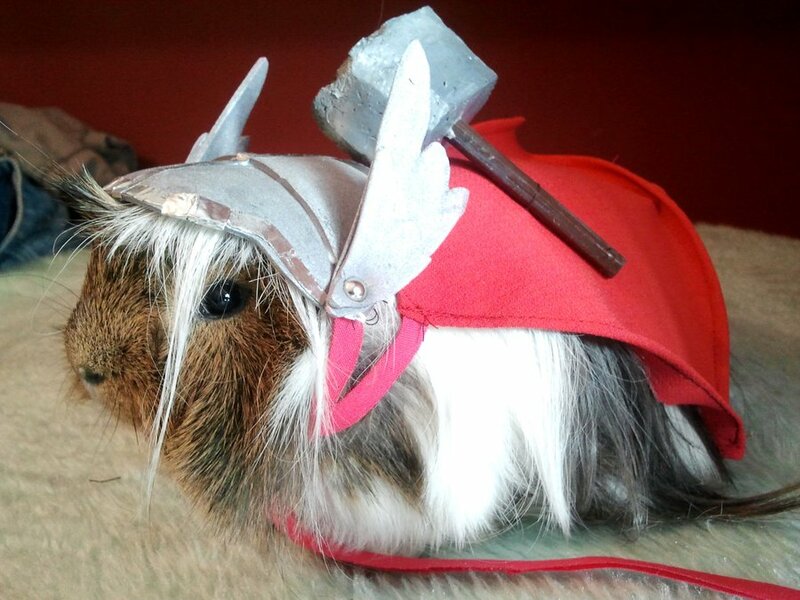 Hope you guys enjoy this crazy movie weekend! 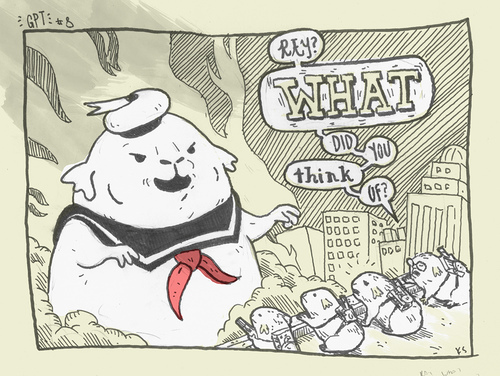 I think the tiny proton packs and the Guinea Pig Stay Puft are so adorable! 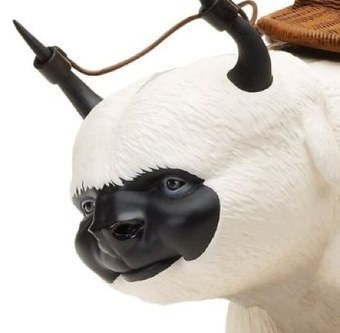 Do not know much about Ghostbusters? See IMDB or gbfans.com. I loved the Nickelodeon cartoon Avatar: The Last Airbender. It was well animated, full of lovable characters, humor, action, and it had a great plot. 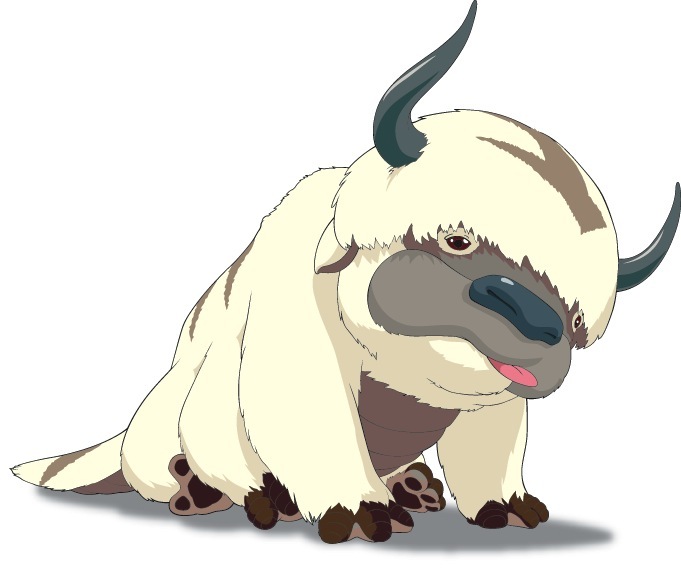 My favorite animal character was Appa, Aang’s giant flying water bison. 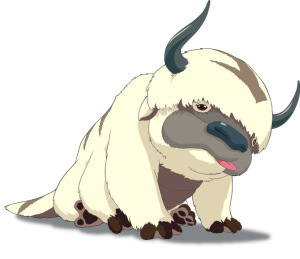 If you have never seen the cartoon I recommend it (it is only three seasons long) and there is a new live action move coming July 2, 2010 titled The Last Airbender, directed by M. Night Shyamalan. The story in the TV series focuses on a war between the four different nations of earth, water, fire, and air. The war was initiated by the fire nation which desires to conquer the world. Each nation can fight and work by bending the element particular to that nation. The avatar’s job is to maintain peace between the nations and can do so because they are the one person who can control all four elements. The avatar is reborn after the previous avatar dies as a member of a different nation. 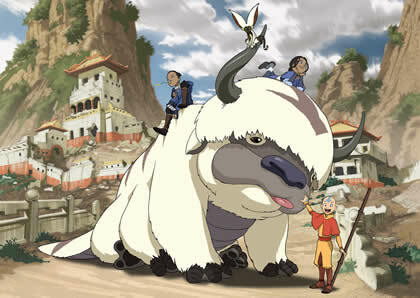 The show focuses on the last air bender, Aang, who is the last person from the air nation, due to the conquest by the fire nation, and who is also the current avatar. It follows his struggles and friendships as he attempts to restore peace to the four nations. That is a very simplistic explanation of the show, but it is great and I highly suggest seeing it on DVD. 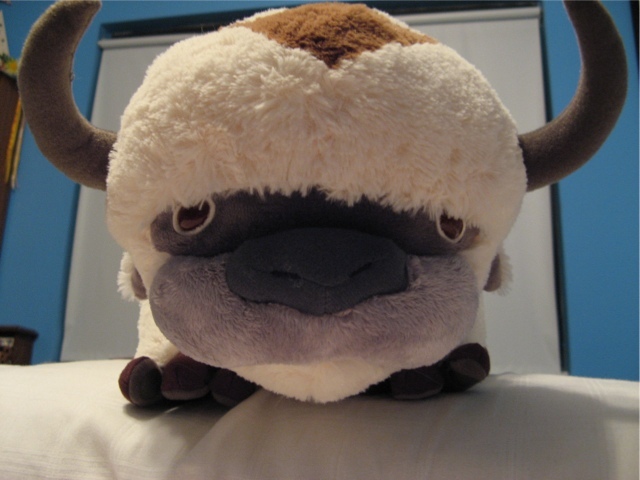 I will have to get used to Appa’s new and more realistic look. But I think that seeing him in the movie will make all the difference! 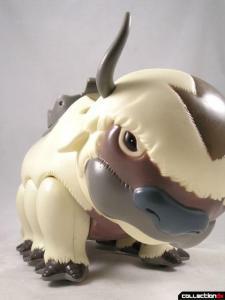 To learn more about Avatar, the cartoon and the new movie, check out lastairbenderfans.com and mnightfans.com. 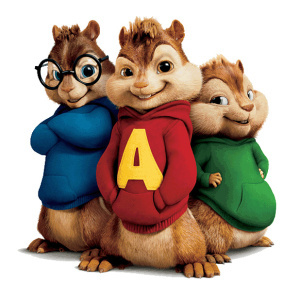 Last night I went and saw Alvin and the Chipmunks: The Squeakquel. I would suggest seeing it if you enjoyed the first movie. 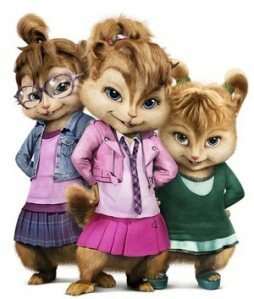 I did not have a clue what this sequel would entail, except the Chipettes. But I liked it. The plot is decent, funny, it has enjoyable music, and the addition of the Chipettes is awesome. Plus, I think the chipmunks are adorable. 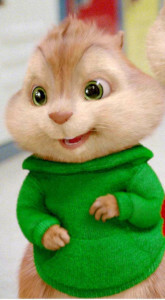 My favorite is Theodore because of his personality and chubby cheeks.